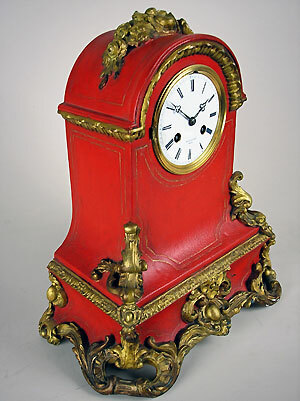 This is a French papier mache table clock by Raingo Freres of Paris, France. 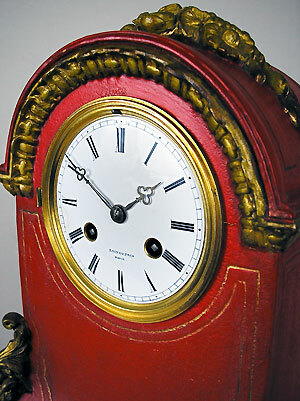 The clock has a bell-strike eight-day movement with silk suspension. 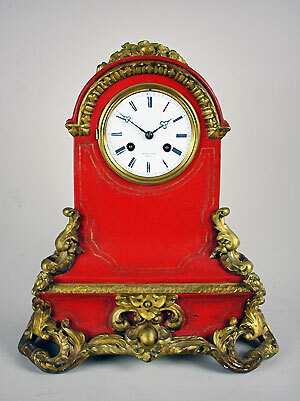 The signed enamel dial has Roman numerals and trefoil hands. 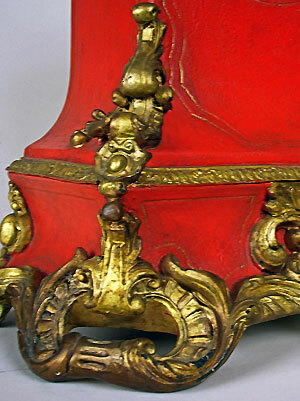 The case is in red and gold Vernis-Martin.